According to a recent study, the fashion and interior e-commerce market in Japan was about 636 billion yen (about $6.79 billion) in 2012, a 121.5% increase on last year. Many domestic apparel brands join fashion online malls instead of developing and running e-commerce sites on their own. And as a result we’re seeing lots of buzz around these fashion online malls. While it’s likely that brands will have their own e-commerce presences soon enough, the online fashion malls which are currently so popular also have intriguing plans for the future. Let’s take a closer look at a few of the major online fashion malls in Japan (in no particular order), as well as their upcoming plans. 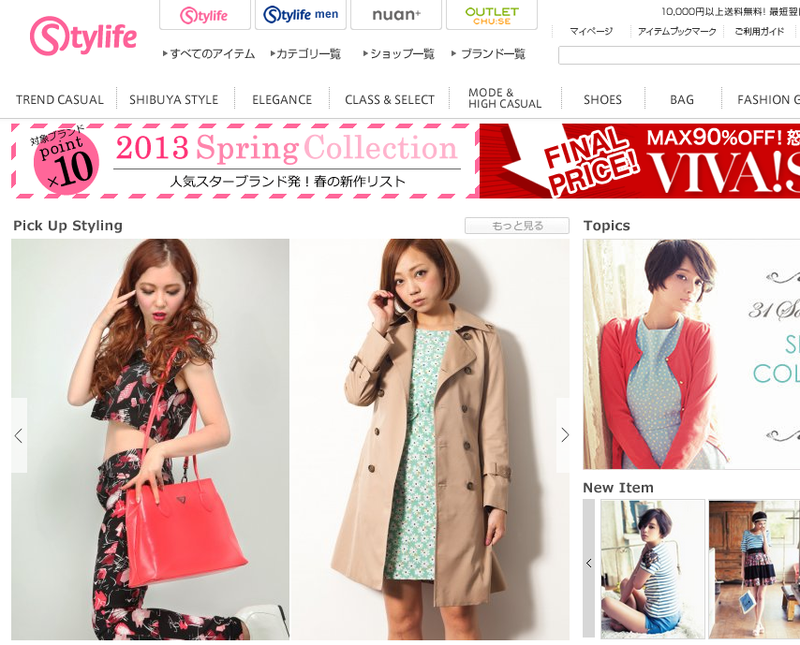 Rakuten recently acquired Stylife for 1.1 billion yen (about $11,770,000), becoming the biggest shareholder in the company. 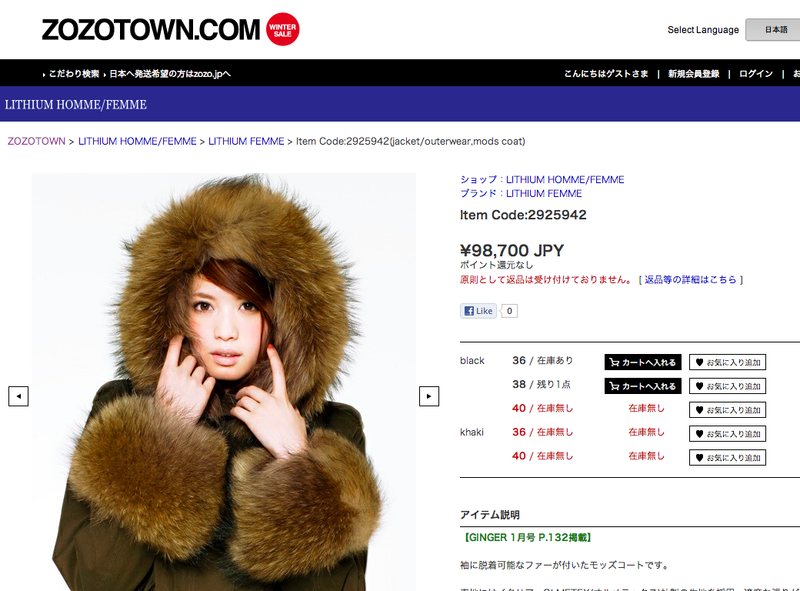 This is a smart move by Rakuten as it eager to increase its reach into the fashion space. For a long time, what differentiated Stylife from other online fashion malls was its print catalogue, Look!s, that integrated with the online mall, although the company ceased publication of the print version in March of 2012. It is now available online as a web magazine. Just a month or so ago, mobile carrier NTT Docomo snatched up online fashion mall Magaseek, acquiring more than 41.67% of the company’s stock. Magaseek targets female mobile users in their 20s, and its previous owner was general trading company Itochu which still owns 25% of its shares. Similar to Rakuten, NTT Docomo’s plan is to solidify its competitiveness in fashion commerce by cooperating with Itochu, the largest general trade company in the textiles industry. FashionWalker is another online mall which has aspirations of expanding its business to the Asian market, most notably to Korea and Taiwan. To that end, back in November of 2012 it launched an fashion e-commerce service for Korea. Its parent company is ‘World’. FashionWalker is more content-focused compared to other online malls, creating dedicated sections for fashion stylists to introduce their latest look-books, under the category of ‘Shibuya Style Village‘. Another fashion online mall that’s accelerating its business in the Asia region is Zozotown (operated by Start Today) which was founded way back in 2004. In addition to zozotown.jp which serves the Japanese market, the company also runs zozotown.com where items can be delivered to 82 countries. In addition to the global online mall, Zozotown will launch ZozoConnect on Feburary 28 where it will introduce international brands — especially brands from Asia — to the world. At the time of launch, the site will focus on five Korean brands, including Bratson.